Open government made an appearance in popular culture, albeit not in an admiring sense. At the start of the week, Jon Stewart and the Daily Show mocked the Obama administration and the president for a perceived lack of transparency. Gary, OMB Watch’s executive director, focused on the places where we have seen real change, including the Open Government Directive, the Executive Orders on Classified National Security and Controlled Unclassified Information, emphasis on affirmative disclosures of government information; and the President’s support of reporters’ privilege and shield law, as well as whistleblower protections. Lucy, executive director for Reporters Committee for Freedom of the Press, pointed out that this was the first president in her 30 years of working in this field who had invited open government advocates into the Oval Office. She specifically thanked him for his strong support of a reporters’ shield law, which he affirmed he continues to support. Tom, executive director for the National Security Archive, emphasized that when it comes to FOIA reform and implementation we know it isn’t just a ship of state, but an entire flotilla including rowboats. And that while there has been notable improvement according to the National Security Archive’s survey of agencies, there continues to need be a need for leadership from the top to change cultures across the vast swath of government agencies. He also noted that we all believe the information we want to see is not simply that which is useful for consumers, but also that which holds the government accountable. I noted, however, that the current aggressive prosecution of national security whistleblowers is undermining this legacy. That we need to create safe channels for disclosure of wrongdoing in national security agencies. That we need to work harder to shrink the amount of over-classified materials that unnecessarily prompt leak prosecutions. The President shifted in his seat and leaned forward. He said he wanted to engage on this topic because this may be where we have some differences. He said he doesn’t want to protect the people who leak to the media war plans that could impact the troops. He differentiated these leaks from those whistleblowers exposing a contractor getting paid for work they are not performing. I was careful not to interrupt the President, but waited until he was done. I pointed out that few, if any, in our community would disagree with his distinction—but that in reality the current prosecutions are not of those high-level officials who regularly leak to the press to advance their policy agendas. Instead, the Department of Justice (DOJ) is prosecuting exactly the kind of whistleblower he described, for example one from the National Security Agency. The President then did something that I think was remarkable. He said this is an incredibly difficult area and he wants to work through how to do a better job in handling it. He also agreed that too much information is classified, and asked us to work with his office on this. He wasn’t defensive nor was he dismissive. It was perhaps the dream moment for an advocate—hearing the most senior policymaker agree with you and offer to work together to tackle the problem. Brian’s account is the most comprehensive account of the meeting on open government online. The irony that it was not recorded and released to the American people is, however, inescapable. For anyone tracking the progress of the Open Government Directive, the last six months have been an up and down experience. It was clear back in September that in the United States, open government remains in beta. According to doctoral research by University of Texas academic, there are 358 open government projects in federal government. Former White House deputy chief technology officer Beth Noveck wrote about the semantics and the meaning of good government and open government mean in this context. One takeaway: don’t mistake open innovation policies for transparency guarantees. Naturally, some projects are always going to be judged more as more or less effective in delivering on the mission of government than others. An open government approach to creating a Health Internet may be the most disruptive of them. 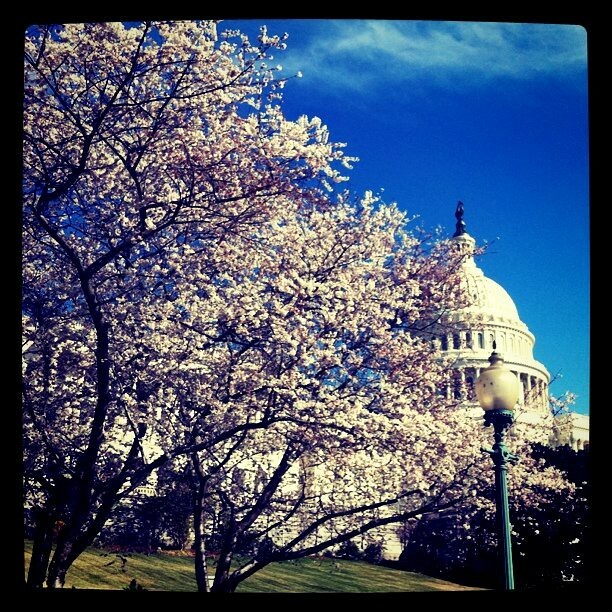 For those that expected to see rapid, dynamic changes in Washington fueled by technology, however, the bloom has long since come off of the proverbial rose. Open government is looking a lot more like an ultramarathon than a 400 yard dash accomplished over a few years. That said, something different is going on during what Micah Sifry has aptly called the age of transparency. We’re in new territory here, with respect to the disruption that new connection technologies represent to citizens, society and government. It’s worth taking stock of what’s happened recently. It’s been a while since I first posted a Gov 2.0 Week in Review at Radar, and three months since the 2010 Gov 2.0 year in review. There’s a lot happening in this space. Following is a quick digest that might provide some perspective to those who might think that open government is a better punchline than policy. 1. The government stayed open. The budget crisis on Capitol Hill overshadowed every other issue this past week. It’s harder for a government to be open if it’s closed. The secrecy of the shutdown negotiations left folks over at the Sunlight Foundation wondering about how open government principles matched up to reality. 2. Proposed deep cuts to funding for open government data platforms like Data.gov or the IT Dashboard appear to be least partially restored in the new budget. That will likely salve (some of) the concerns of advocates like Harlan Yu, who wrote about what we would lose if we lost Data.gov. John Wonderlich’s questions on the budget deal, however, include one on exactly how much funding was restored. 3. FCC.gov relaunched as an open government platform. In any other week, this story would have led the list open government news. Having sat out the Aughts, FCC.gov stepped into the modern age FCC managing director Steve Van Roekel and his team worked hard to bring Web 2.0 principles into the FCC’s online operations. Those principles include elements of open data, platform thinking, collective intelligence, and lightweight social software. What remains to be seen in the years ahead is how much incorporating Web 2.0 into operations will change how the FCC operates as a regulator. The redesign was driven through an open government process that solicited broad comment from the various constituencies that visit FCC.gov. The beta.FCC.gov isn’t just a site anymore, however: it’s a Web service that taps into open source, the cloud, and collective intelligence. In the world of Gov 2.0, that’s a substantial reframing of what government can do online. 4. What happens to e-government in a shutdown? This near miss forced hundreds of thousands of people to consider how to make wired government go dark. That discussion should not end with this latest resolution. 5. The first NASA Open Source Summit explored why open source is a valuable tool for the space agency. Open source is a pillar of NASA’s open government plan. 6. The Russian blogosphere came under attack, quashing an online parliament initiative. Needless to say, it will be interesting to see if a Russian Gov 2.0 conference next week addresses the issue of press freedoms or open government transparency. 7. Simpl launched as platform to bridge the connection between social innovators and government. 8. National Builder launched as a new online activism platform. 9. Senator Jon Tester (D-MT) and Representative Steve Israel (D-NY) reintroduced the Public Online Information Act. With this transparency bill, the federal government would acknowledge the Internet, opined Mother Jones. Editor’s Note This is by no means a definitive, comprehensive list. For instance, there’s plenty of open government news happening in countries around the world, from corruption mashups in India to the transparency challenges in various states. For a daily dose of transparency, make sure to read the Sunlight Foundation’s blog IBM’s Business of Government blog has also posted a weekly round up. If you have more stories that came across your desktop, inbox or television this week, please share them in the comments. I’m usually more cynical than most, but I saw the outpouring of support for open government and open data to be a positive thing. I realize the numbers on the petitions and the level of twitter activity were low by any sort of government standards, but they showed a significant and growing interest in this area. I hope we can continue to extend this growing community and to help keep the “open government data” movement growing. According to rumor,the cuts appear to be steep, but not to the level of shuttering data.gov, usaspending.gov and the others – and that is indeed a big deal.